This comfortably furnished stone house is located at the edge of town and has a garden and a large rooftop terrace. The view from the house is breathtaking. On the ground floor of the house, there is a kitchen and dining area, a bathroom and a living room with an open fireplace. Located upstairs are three bedrooms and two bathrooms. This is a really clean, spacious, tasteful, well- equipped house! The views from the large roof terrace are stunning, even at night; so many stars! It is an easy drive to lovely beaches and there are many places to visit. We all (family of 5 with 3 grown-up children) loved it and do not hesitate to recommend this lovely house. 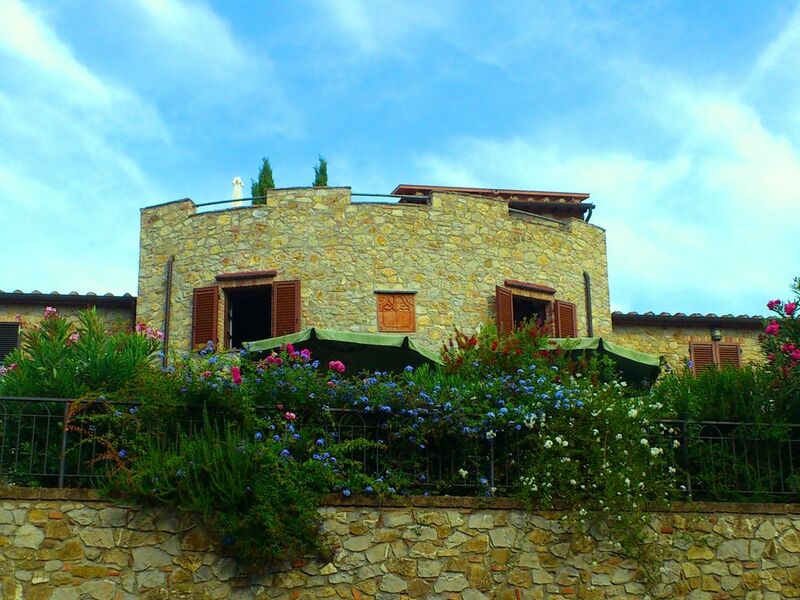 The quiet municipality of Giuncarico is located on a dominating hill and has a medieval flair. It has shops and a pool (during the summer).